SUNNYVALE, Calif.--(BUSINESS WIRE)--Optra Health today announced at the ACMG Clinical Genetics Annual Meeting the launch of its computational platform iPhronesis™ Knowledge Automation for Clinical Genomics using proprietary advanced natural language processing (NLP) algorithms and deep machine learning unique to the marketplace, as well as iPhronesis™ Cognitive Workbench “ICW” for automating literature and data review. The iPhronesis platform enables rapid data curation, ACMG-guided variant classification and clinical reporting. To learn more or schedule a demo, visit booth #1013 or visit www.iphronesis.com/clinicalgenomics; for iPhronesis Cognitive Workbench visit www.iphronesis.com/icw, or take a test-drive at the New Product Showcase at the ACMG exhibit hall. iPhronesis was developed to help curators, bioinformaticians and lab directors automate the laborious process of reporting on NGS data, when under increasingly tight deadlines for critical health judgements. The easy-to-use iPhronesis platform utilizes proprietary advanced Natural Language Processing (NLP) algorithms to leverage human language and its context to find hidden relationships in data. These hidden relationships are the basis for pathogenicity calls in variant classification, quality assessment and literature review for data curation, and ultimately the judgement calls lab directors make every day when approving clinical reports. No other upstream or downstream genomics software offers advanced NLP technology to aid in contextual data analysis and discovery. Deep Machine Learning trains the system per use to build evidence and confidence for variant classification, and includes an ontology database of >200 million ontologies and growing. Built-in ACMG guidelines provide an efficient and reliable process to classify variants and report to clinicians with confidence. Request a demo now at info@iphronesis.com or www.iphronesis.com/clinicalgenomics. iPhronesis includes robust data connectors to public databases like ClinVar and connects to repositories such as PubMed and OMIM. Users can connect to proprietary internal databases while also accessing online content for curation and knowledgebase creation. Bioinformaticians can easily implement pre-loaded workflows or customize their own using drag and drop functionality. Advanced D3 visualizations and analytics provide lab directors and bioinformaticians cutting edge tools to visually display results and customize information to their specific needs. An intuitive user interface and simple workflow make adopting the software fast and efficient. Optra Health, LLC is the “Data-driven Intelligence Company” leading Precision Medicine initiatives within clinical genomics, healthcare, life sciences and pharma. Optra’s solutions and services harness data for translational and clinical research, clinical reporting and real world evidence. 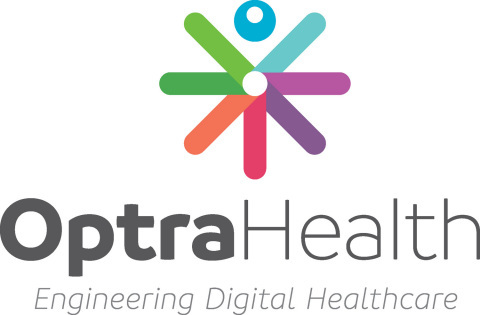 Optra Health’s iPhronesisTM solution is a next generation Knowledge Automation & Analytics platform based on advanced technologies including Natural Language Processing (NLP) and deep Machine Learning (ML). Get LinkedIn with Optra Health or follow us on Twitter. iPhronesis Knowledge Automation Platform for Clinical Genomics Uses Machine Learning and Advanced Natural Language Processing to Automate Data Curation, Variant Classification and Clinical Reporting.